Ajay Industrial Corporation Ltd. is deeply and sincerely committed to being able to provide products and services which are of the highest quality, to all of our customers and clients. We are committed to manufacturing and selling only those products which conform to our company’s stringent quality management procedures. 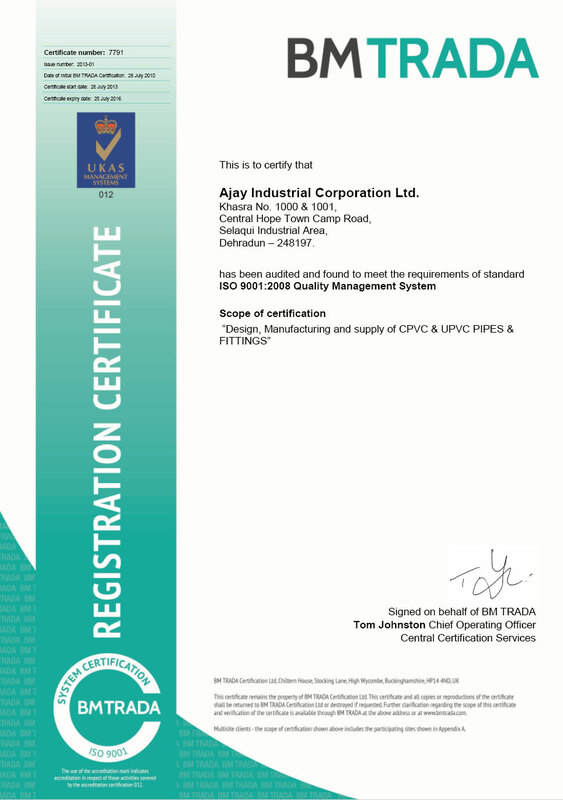 As such, we at Ajay Pipes look forward to being able to provide our customers with the best PVC pipes and fittings that they require, meeting their expectations every time, with our modern manufacturing technology and skills.